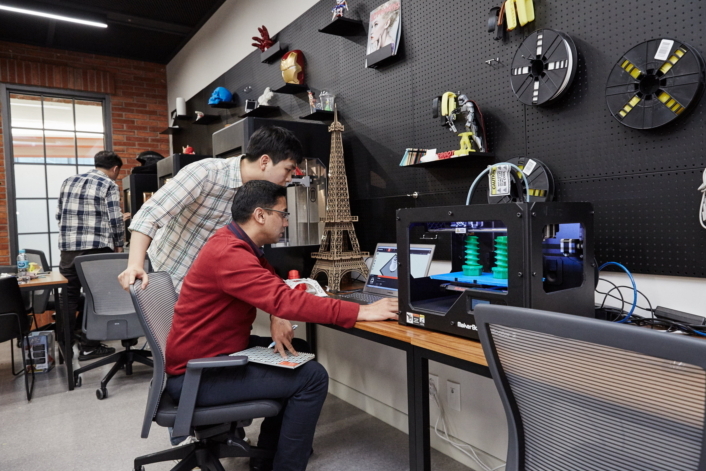 Samsung Electronics has lifted the curtain on C-Lab Space, a complex dedicated to the C-Lab (Creative Lab) program, at the Samsung Digital City in Suwon, Korea. C-Lab is an internal program that aims to cultivate innovative projects and business ideas, and this new development will function as a venue for exchanging and building upon ideas. The building’s centerpiece is C-Lab Square, a wide meeting space that allows staff to hold interactive workshops and seminars with the help of multimedia solutions. The C-Lab Factory, equipped with power and precision tools, 3D printers, a laser cutter and more, offers space for C-Lab hopefuls to get to work on the nitty-gritty of developing blueprints and prototypes. Meanwhile the Idea Lounge offers a book café, vending machines and sofas – an ideal place to head for those who need a rest from lab work. 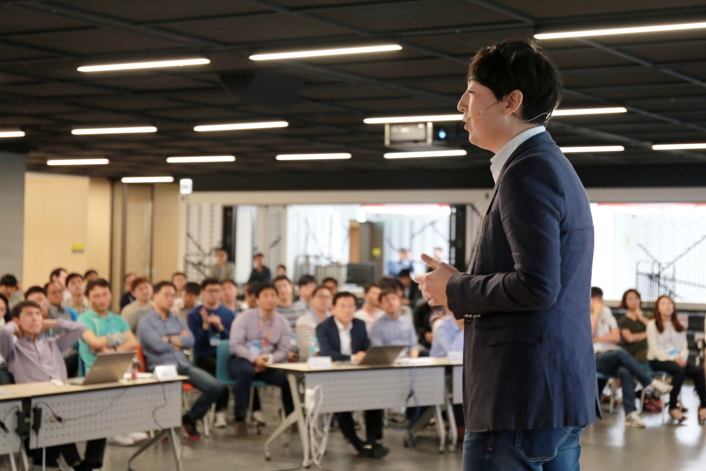 To celebrate the opening of C-Lab Space, Samsung held a competition to select 12 final winners who made presentations based on their ideas, with an employee vote determining the results. The winning teams will now work on their projects for a year, and will soon be able to start using the C-Lab Space facilities to further develop their ideas. Below is a peek at what’s going on inside the exciting new C-Lab Space complex. C-lab staff work on their innovations at the C-Lab Factory. A staff member reads away at his leisure in the Idea Lounge. A competition took place at C-Lab Square, where employees voted to select 12 final projects. 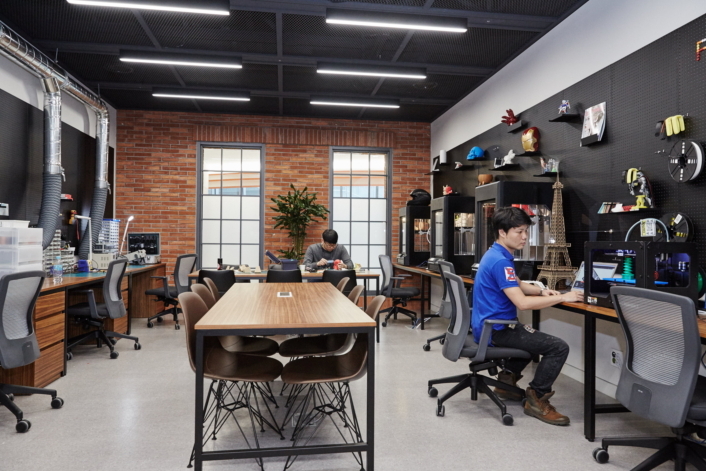 C-Lab, established at the end of 2012, is one of Samsung’s primary Innovation Programs, and helps its employees to nurture creative business ideas, and to encourage creative thinking throughout the company. C-Lab has supported over 100 projects, and has participated at the Consumer Electronics Show (CES), South by Southwest (SXSW), as well as other large-scale global tech gatherings.